Or is he just popular? Man of the people? Trump speaking in Biloxi, Mississippi, Jan. 2, 2016. 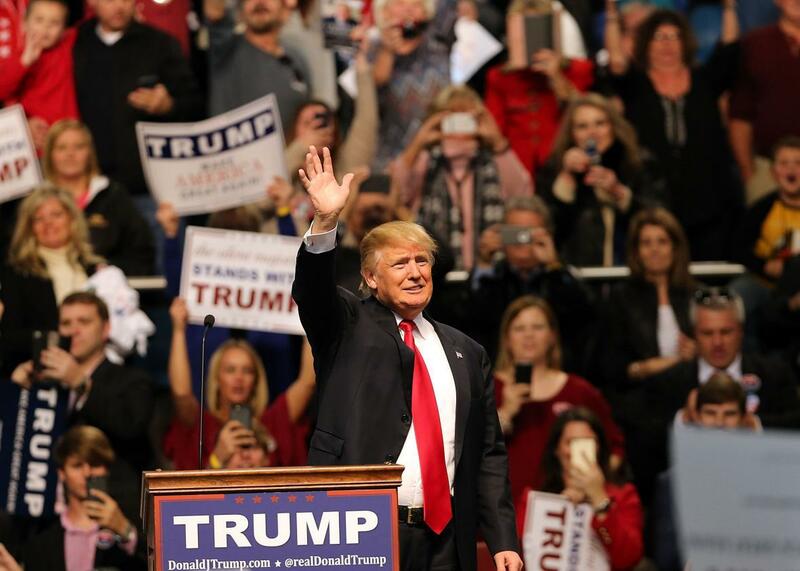 Donald Trump’s campaign has been constantly referred to as a populist insurgency within the Republican Party, consisting as it does of an anti-Washington message designed to stoke working-class anxieties. But does Trump deserve the label of populist? And where does he fit in the history of American populism? To discuss these questions, I called Michael Kazin, the co-editor of Dissent and the author of several books, including The Populist Persuasion and A Godly Hero: The Life of William Jennings Bryan. We discussed Trump’s similarities to Henry Ford, how populists use language, and why their movements tend to die out. The conversation has been edited and condensed. Does Trump remind you of any figures from the early 20th century? Maybe Trump can tweet it out in 140-character bits. How precisely do you define populism? I say in my book that populism—and there are many other definitions—is the language whose speakers conceive of ordinary people as the noble assemblage not bounded narrowly by class, view their elite opponents as self-serving and undemocratic, and seek to mobilize the former against the latter. In my point of view, populism is not an ideology. It’s an impulse, it’s a form of expression, it’s rhetoric, which includes imagery. The enemies are a tiny elite, and the people on your side are the vast majority; the vast majority are moral people who are being betrayed by the elite. Establishment. That’s become his term. Yeah, it’s almost as if he’s conjuring up a counterelite, which he will choose. He’s kind of a managerial populist, if you will, which in some ways is an oxymoron. I want to mention something else, which is so obvious that somehow people have stopped talking about it: This guy has been a celebrity for 30 years, and he’s familiar to people. Having a familiar celebrity who is relaxed and says what’s on his mind is what makes the kind of people who are usually attracted to populists feel more comfortable with them than they do with other politicians. But I’m not sure that in this case it’s really populist politics so much as celebrity politics. It’s similar to what Arnold Schwarzenegger did when running for governor. And that’s why I compare him to Henry Ford. Henry Ford was famous before he even thought about going into politics. And [Ross] Perot was a little like that. Perot was a little bit famous. Reagan as well. People said he could never win and was a buffoon. But you forget that people like to feel comfortable with their politicians. And as much as I disagree with Trump’s politics, I kind of enjoy listening to him because he seems comfortable with himself. Does this mean that you think Trump could have more potential mass appeal than people think? He’s tapping into a real fear, a real anxiety that a lot of working-class, middle-class white people have and probably many African Americans have as well, which is that we’ve lost our country or we’re losing our country, and it is a cultural question as much as an economic one. You wonder if his blaming of some minority groups puts some ceiling on his support though, especially with the changing demographics in America. Yes, that is what hampers populist movements and populist speakers in almost every case. Even though they are trying to represent the people, their anger, their demagogy, their way of accusing people who should be their allies of not being their allies, is another way of limiting their support. Populist movements can come from both third parties or from within a party. How much do you think, when the latter is the case, that they end up fundamentally changing the character of the party? Certainly you can argue that there are aspects to the conservative movement, which took power with Ronald Reagan, that were populist. Obviously that transformed the party in many ways. It transformed American politics. There were populist movements in the ’30s, Father Coughlin, Huey Long, and Francis Townsend, who had a pre–social security plan for protecting everybody. Roosevelt was able to co-opt them and there was talk of having a third-party ticket in 1936. There was real fear in the Democratic Party that the Republicans would win the presidency in 1936 if in fact there had been an independent, populist ticket. That didn’t happen. I think, partly, Roosevelt moved to the left in 1934 and 1935 in response to that movement. Trump might get the nomination, but even if does and loses, which I think he probably would, then I imagine in the next election the Republican Party would try to find someone like Nixon to his Wallace, who’s more palatable but a carrier of some of the same policies.